One Supercar. 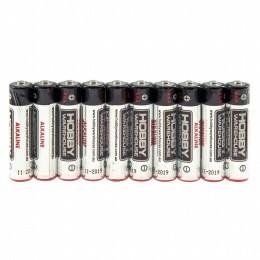 25 possibilities. 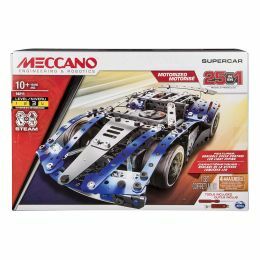 Meccano’s model car kit gives curious young minds total freedom to build a Supercar 25 different ways! With souped up features like a variable speed motor and LED light piping, the Supercar is as fun to make as it is to take out for a spin. This S.T.E.A.M. 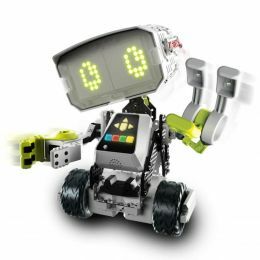 set encourages young minds to explore concepts from science, technology, engineering, the arts and math. With real tools in hand, builders put together metal pieces to create the Supercar’s body, then add plastic panelling to create its signature streamlined look. Once complete, see what this motorized model car can do, proudly display it, or take it apart and start all over! 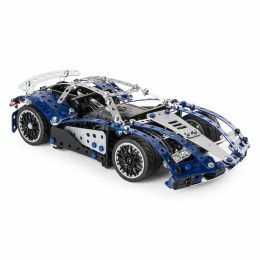 Ideal for curious young minds, the Supercar gives builders a task that’s satisfying to conquer again and again! 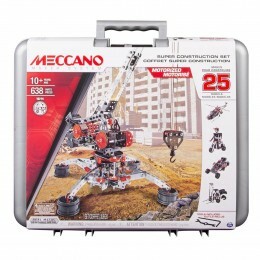 For years, Meccano has created imaginative construction sets that inspire the next generation of innovators. 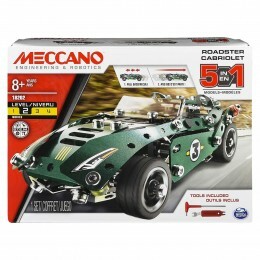 For a building challenge unlike any other, get under the hood of Meccano’s Supercar! 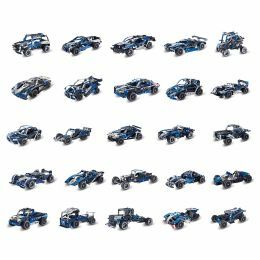 25 DIFFERENT WAYS TO BUILD: Ready to build a Supercar? 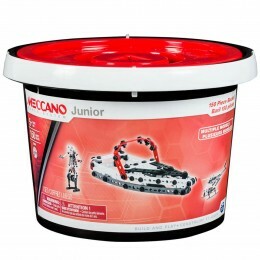 With 25 different ways to construct and create, Meccano's motorized model car gives curious young minds an exciting new challenge! COOL FEATURES: A variable speed motor and LED light piping give this Supercar its edge. Build it, and then take it for a spin to see what this vehicle can do! S.T.E.A.M. BUILDING KIT: As an S.T.E.A.M. model car kit, the Supercar encourages young minds to explore and apply concepts from science, technology, engineering, the arts and math as they build again and again! 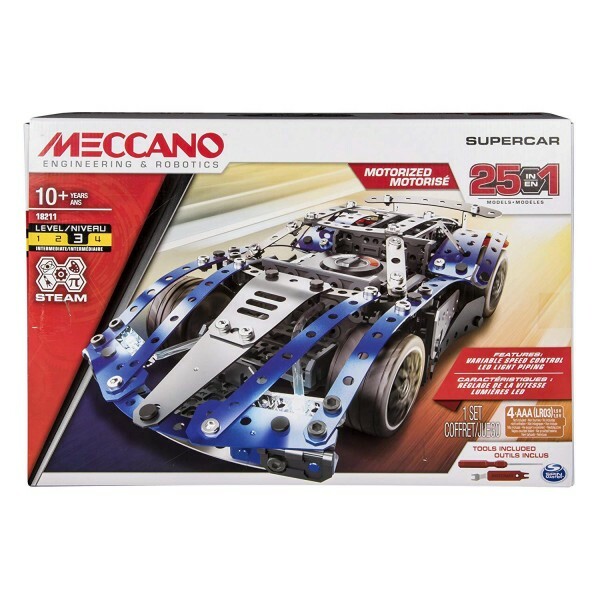 The Supercar from Meccano is recommended for experienced builders aged 10+. Construction time of 1 3 hours. 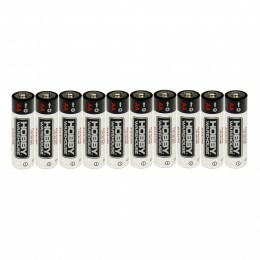 4 AAA batteries required (not included).